The Kingston bandstand is once again illuminated. The lights at the seawall bandstand and the surrounding environs at Kingston, Georgetown, have been restored, according to head of the Street and Highway Lights Department Terrence O’Brien. O’Brien told Stabroek News that the Ministry of Public Infrastructure department restored power to the area almost two weeks ago on January 11th. “We were able to reestablish power. 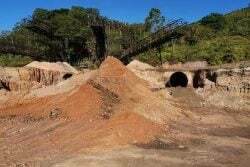 We killed the mains and did some corrective works and it was up the very afternoon and one and two bulbs are not working but we will restored it,” O’Brien said. 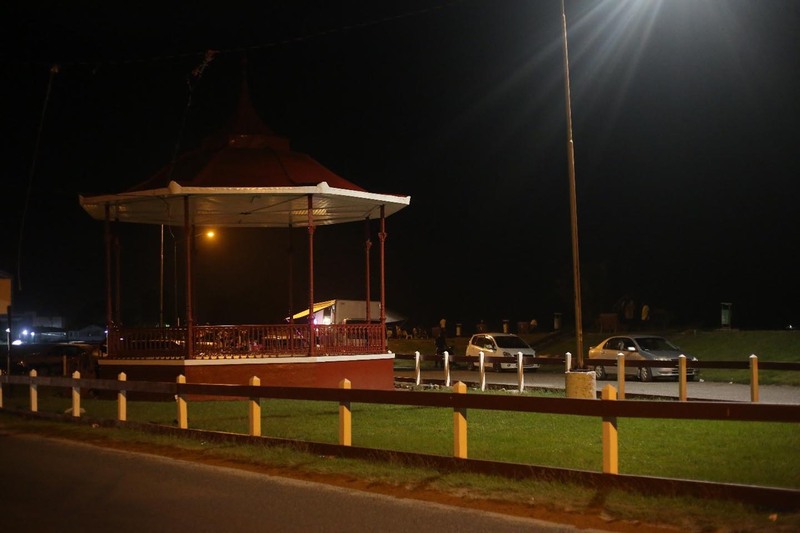 He explained that the area was without power for some time because persons were stealing from the bandstand’s electricity supply, which affected the other connected lights and equipment, causing them to malfunction. With the lights back on, patrons who frequent the area say that they are happy with the fix and they now feel safer. Another section of the Kingston seawall where the lights are once again functioning. In fact, Stabroek News has noticed an increase in persons visiting the area since the lights have been fixed, as compared to when they were not working. “Well now that the lights [are] on, you feel safer. You’re not worried about who might be lurking in the dark or scared to go anywhere. I’ve been coming to the seawall for years. It helps me to relax after a long day and when the lights were not working, I stayed away because I thought that it was very unsafe. I’m just happy that it didn’t take that long for them to repair it, because you know how things are in Guyana,” one patron said. 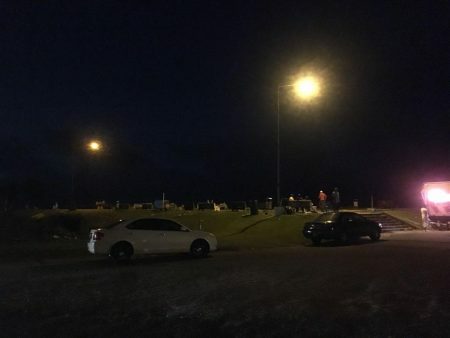 Previously, several patrons had told Stabroek News that they were very disappointed that the lights were not working and that it was a security risk to leave the area in complete darkness.